LONDON, 03-Jul-2018 — /EPR HUMAN RESOURCES NEWS/ — Are you not tired of receiving promotions only for usual, not-so-important things? How many tooth pastes or photo shoots does one need? Ever wonder why the important things in your professional life are not on offer? We asked ourselves the same questions and we think it is not fair to get free stuff only for your personal life. Businesses love freebies as well! 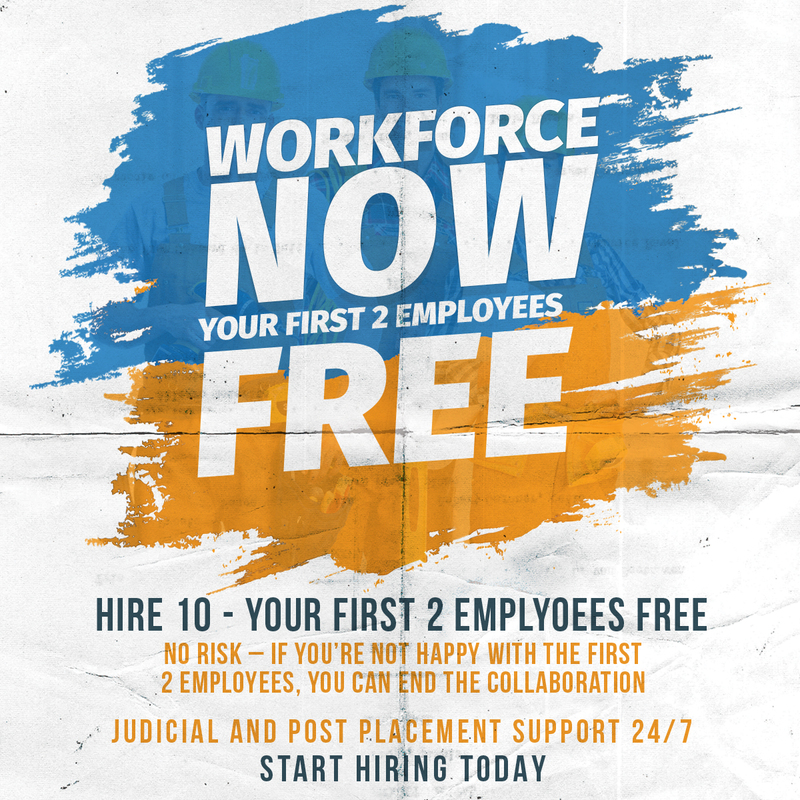 We, at Euro Staff Solution, want to balance the ”free offer” market and thus we are offering 2 recruited employees, free of charge for your business. Eight new members of SilverDoor staff have started or are due to start within the next few months, bringing the head count at the company’s head office in Chiswick to more than 35 staff. Eva Bogowicz has been appointed as finance manager, managing a team of five and reporting into Marcus Angell, SilverDoor’s founder and managing director. Her background is as a management accountant at VGC Group. As well as Bogowicz, Nimisha Dabasia has also joined the finance department as an accounts clerk. Dabasia’s background is with Nationwide Building Society as a senior banking officer. Following on from the appointment of Segun Babalola as IT director earlier this year, the IT department also sees Hanish Vithal starting as software/technical support technician. After graduating from the University of Portsmouth with a BSc in Computing and Information Systems, he has been working as an IT consultant at Eurowide Media. In addition to the permanent new recruits, SilverDoor has also taken on a number of 12 month university placements. James Hood, Danielle Lyons and Rafaela Baraldi are all from Bournemouth University, where they are studying Business Studies, and have been assigned various roles within corporate sales and marketing or finance. Priya Jotangia is also joining as a corporate sales and marketing placement from De Montfort University, Leicester, where she is currently studying an HND Business course. Sofia Oragano also joins the corporate sales team. Oragano was previously a lettings manager at Foxtons. SilverDoor represents more than 30,000 serviced apartments globally, with new serviced apartments in Belfast recently being added. Lucas Apartments located just ten minutes away from the city are housed within the iconic Lucas Building, a landmark Victorian factory that was completely renovated in 2001. Each modern serviced apartment features one or two double bedrooms, a luxury bathroom (with an additional en suite in the two bedroom apartments), a fully equipped kitchen and a furnished living area. SilverDoor has also recently added new serviced apartments in Dublin. The New Street apartments are situated in central Dublin, just a short walk from St Stephen’s Green and other popular attractions including Temple Bar, St Patrick’s Cathedral and Dublin Castle. The apartments range in size and layout and all are spacious and stylishly furnished and feature comfortable living rooms with contemporary furniture. The fully equipped kitchens offer modern appliances and the majority of the bedrooms feature double bedrooms with the option of converting to a twin bedroom if required. SilverDoor International Serviced Apartments was incorporated as a limited company in March 2000 under its original name of Hotdigs. At the beginning of January 2006 the company changed its name to SilverDoor. The company was formed and continues to be led by managing director Marcus Angell. SilverDoor boasts an impressive client portfolio which includes many FTSE 100 companies such as Cadbury, MAN Group PLC, ICAP and Serco Group as well as relocation and hotel booking agents. SilverDoor offers serviced apartments in over 160 locations globally such as London, Paris, New York, Abu Dhabi and Toyko. SilverDoor has also just added to its portfolio with some new serviced apartments in London and a selection of Edinburgh serviced apartments to its portfolio as well as new serviced apartments in Manchester. SilverDoor is based in Chiswick, West London.